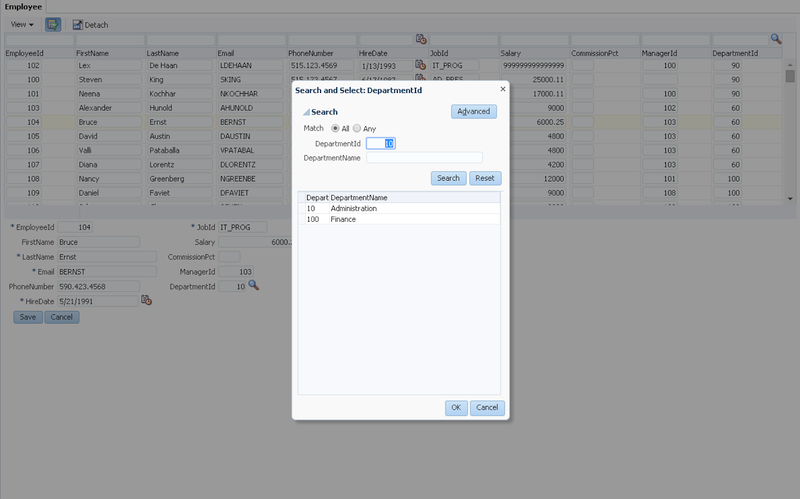 ADF LOV component provides filtering option with STARTSWITH operation. This is used to check if similar value exists in the LOV, if such value exists - LOV popup is opened with all the suggested values. If user types 10 and there are 100, 1000 in the LOV, instead of accepting value 10 - LOV popup will be opened and all three values 10, 100, 1000 will be displayed. While this is useful, there is no option to turn off such functionality. My post describes a solution, that can be used to disable suggested LOV filtering. Andrejus, First time it works as expected, when you open for second time it again applies the like condition and you can see from the Advances search option inside popup the operator are like null. This happens to me at least in 11.1.1.7. Do you know about this? or any further setup is missing in the blog!! Thanks, Sara. 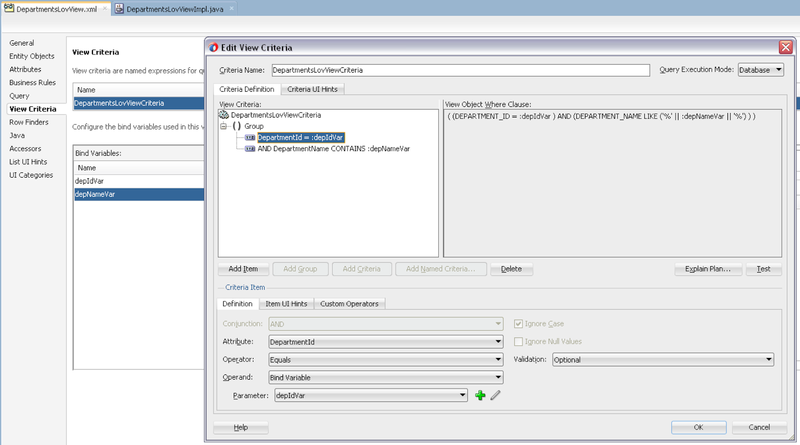 I have tested my sample with 12c today, it works. This was crated with 12c, so it can't be easily migrated to 11g. Andrejus, can you check the following sequence? 2. Enter 10, works as expected popup not triggered. 3. Enter 100, works as expected popup not triggered. Yes, now I can reproduce your scenario. I will need to check, how this can be fixed and why it prevents from working as expected. 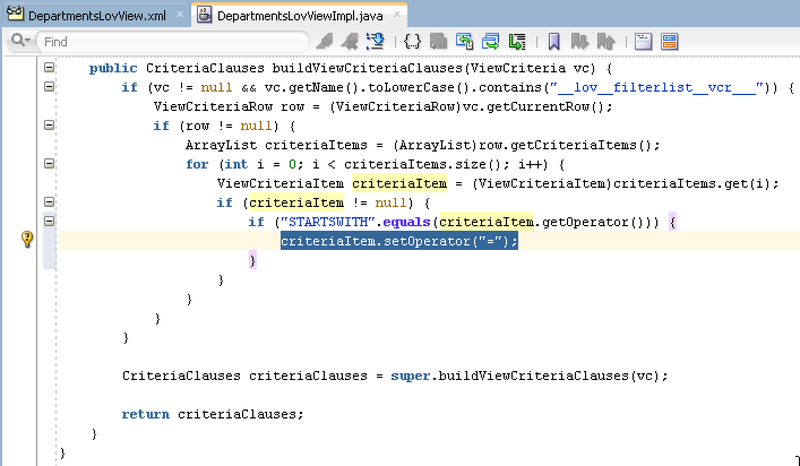 I have updated my sample app to check for LIKE operator in applyViewCriteria(vc, boolean) method as well. Your use case works now as expected. I will post updated sample app.